Bright Signals: Our Dream Clients! We have a diverse and rewarding group of clients at Bright Signals and they certainly keep our creative juices flowing. However, we know that deep down everyone has that one dream client they’d like to work with. We decided to take the risk of asking the team who theirs would be and, amazingly, they came up with a list of names that we actually would be up for working with! What we could offer: As a company, we have a track record of knowing how to connect with an audience by using recognisable situations that strike a chord. Our work with Scottish Autism has helped us develop this ability further, while growing our experience of the particular needs and nuances of the charity sector. In that respect, we’re particularly proud of this video, The Journey, and of the impact it has made. What we could offer: Music has been a key part of the Bright Signals story, with various members of our team having been active in the worlds of both electronic dance music and indie rock. A lot of offices can probably tell that story though. But how many of them can also wheel out a director of strategy whose band appeared on Jimmy Kimmel? We’d talk more about that here… but, to be honest, he’ll tell you himself when he sees you. In more practical terms, we’ve supported Tennent’s work on music events such as T in the Park and T Break, as well as Magners Cider’s involvement with music festivals across the UK. What we could offer: If Nike are reading this, then please note that we do also have less tongue-in-cheek examples of our work… but here’s a piece we produced for Tennent’s which involves using a ‘specialist’ to help you choose your trainers. What we could offer: Given our close relationship with Bowmore, we’re already totally onboard with the notion of working with a premium brand with a peat content worth boasting about. And the links don’t stop there. 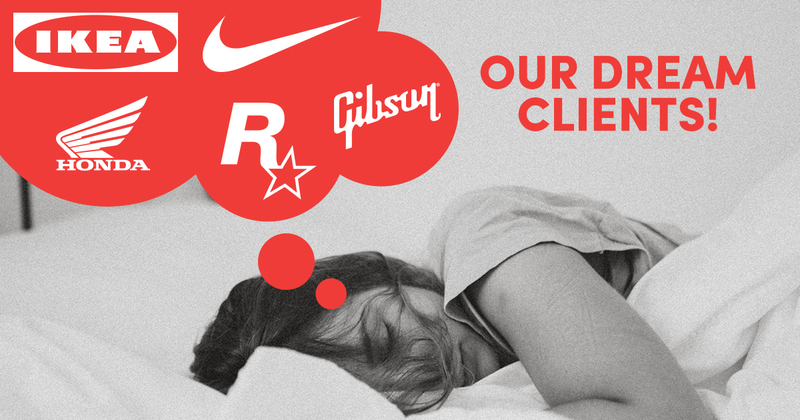 What we could offer: We love Rockstar. The Grand Theft Auto series? Amazing. 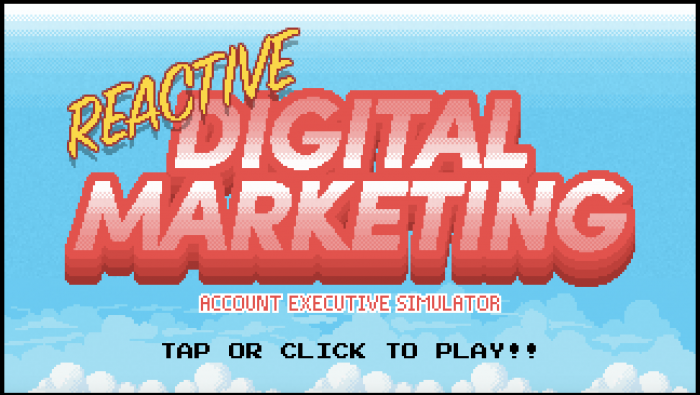 However – and not that we want to boast – we do have some experience of making our own games too. So maybe you guys want to collaborate? Guys? Guys…? What we could offer: Microsoft has come to be seen as ‘traditional’ in a negative sense, rather than in a way that conveys what is should: quality, gravitas and trustworthiness. Traditional doesn’t have to mean boring. 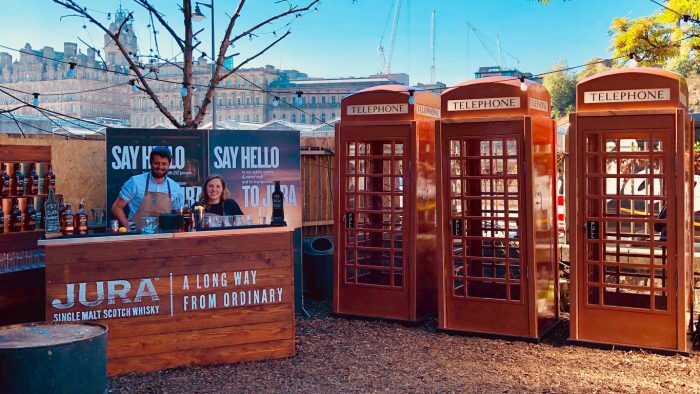 Our work with iconic whisky brand Jura saw us blend technology with tradition to help them launch their newly rebranded range using ‘traditional’ phone boxes kitted out with a Raspberry Pi. What we could offer: While Macsween Haggis is more of a premium brand than Fray Bentos, our award-winning work with that brand has highlighted our ability to have fun with food. Our ‘Hamish The Haggis Farmer’ video became Macsween’s most viewed and engaged with piece of content. Why: “My wife is Slovakian, so every year we visit her family and I’ve seen how amazing the country is and how much it has to offer. Despite that, people in the UK still ask where it is (Slovakia was half of Czechoslovakia – it was never part of Yugoslavia, you’re thinking of Slovenia). Bratislava, Trnava, Kosice and more are all stunning. Get out of the cities though and the countryside is amazing too. You’ve got the Tatra mountains (popular for hiking or skiing) and also the national park, Slovenske Raj (‘Slovakian Paradise’). What we could offer: That big question of whether you’d to Slovakia for a city break, a hillwalking holiday or a ski trip…? We have experience in producing breakthrough activations to help people decide that very thing. We developed a ‘mind reading machine’ for our clients Explore Travel, showing people which kind of holiday was really right for them. The activation achieved a lot of coverage, including being picked up by the Daily Mail. We hope you’ve enjoyed this whistle-stop tour of our psyches and that some of the examples of our work have struck a chord with you. Even if your own brand isn’t on this list, it doesn’t mean that you couldn’t be our new dream clients. And if your brand is on this list… well, this blog has probably given you pretty good scope to haggle for a discount, so what are you waiting for? Drop us an email or give us a call.